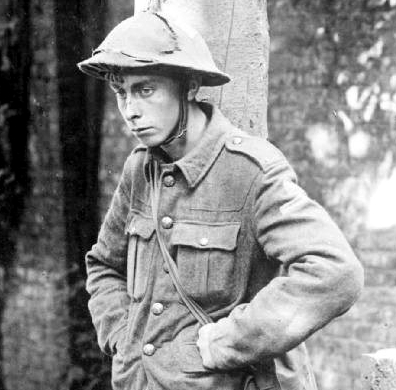 With the passing of Harry Patch, World War One has finally been consigned to the remaindered bin in the doorway of History. Presently being rummaged through for glories to celebrate and commemorate the impending centenary, one fears that selective retrieval will repackage proud sacrifice and stout British spirit, yellow-skinned ‘canaries’ and a grossly mythologised football game, to deepen our resentment of Germany’s present arm-lock on the EU. Maybe not, but already the public groans at the prospect of what the beano could become. Even if the centenary years dig beneath the surface of the most horrific war the world has witnessed, the opportunity to understand why the ‘war to end all wars’ simply lined things up for the Austrian corporal, the Cold War and Vietnam, even the evil wars on terror, is likely to be lost. The so-called ‘Great War’ was the first truly multinational war, the first heavily mechanised war, the first oil war, the first fought to the benefit of capitalists on both sides, the first to murder millions of civilians and the last orchestrated by kings, barons and lords as if it were a ripping game of polo. It was the first to wipe out whole streets of young men and destroy the lives of millions of mothers and lovers, two generations of women who grew old as widows and spinsters, enfranchised and empowered to become career professionals. The changes needed to welcome in the 20th Century were always going to involve a vicious bloody struggle far greater than the French and American Revolutions combined. This anthology doesn’t pretend to tackle these issues, but it does aspire to free WWI from the censorship imposed by London and Berlin before the first man fell, blinkers that still cramp our reading of this holocaust. Offered up by creators working in a medium that was barely a foetus in 1914, it is our humble tribute to the ten million combatants sacrificed… for what? Walk into any comic shop and you’ll see numerous collected volumes of WWII stories. Whether it’s daring tales of heroism, or painful insights into the reality of life in the death camps – it’s all there. 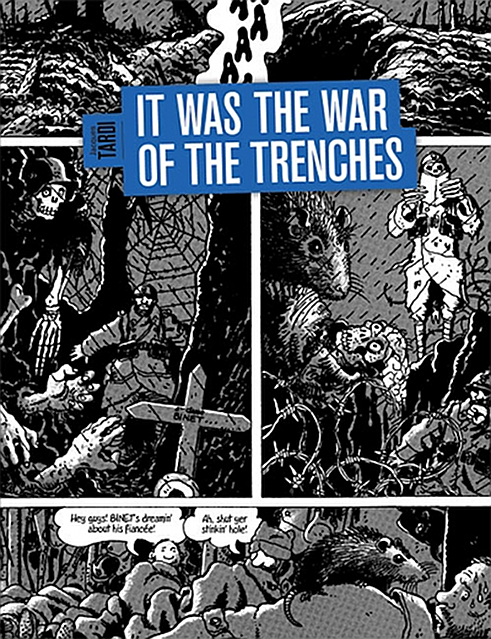 Search for WWI and you’ll find Charley’s War by Pat Mills & Joe Colquhoun, Jacques Tardi’s It Was the War of the Trenches, and if you’re lucky, White Death by Rob Morrison and Charlie Adlard…but little else. For a medium defined by genre storytelling, the subject of real War has been largely neglected by the comic book world, and no conflict is more conspicuous by its absence than the so-called ‘Great War’. But why exactly? Perhaps it is because WWII had more obvious heroes and villains and a clear cause to rally behind, something that – historically – comics have relied on to tell stories. 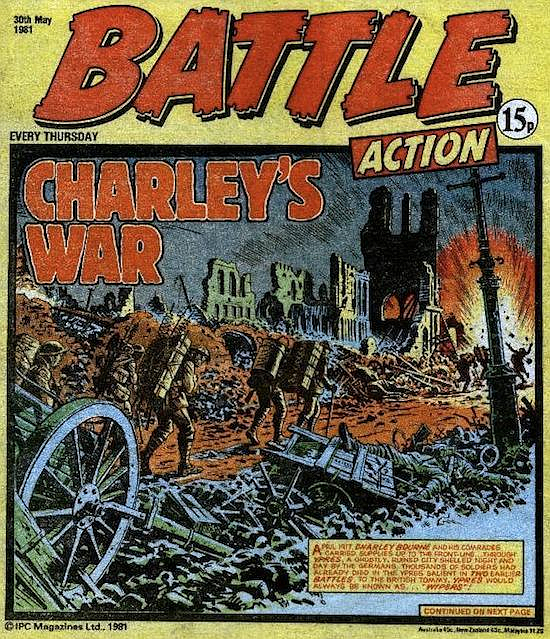 There were several comics that tackled the Vietnam War and others still available that deal with recent conflicts in Europe and the Middle East, even Iraq and the War on Terror. Perhaps it’s because modern thinking sees the grey areas in these nightmares and feels more comfortable talking about them. Perhaps popular understanding of WWI isn’t as panoramic as it is for Kosovo, Iraq and Palestine. Or maybe there just wasn’t the time to take it all in and think about what the hell just happened to the world. In little over twenty years we descended into even greater madness, and were subjected to atrocities we could scarcely believe but more readily condemn. Comics, as we know them, were in their infancy in the late thirties and many of the pioneers were immigrants from Europe. It’s hardly surprising that, when it came to warfare, WWII became the focus of the genre. If anything, WWI is a victim of everything that followed it. Shackled by censorship, brushed over in education and sidelined by events that appeared to leave dents in history that were easier to comprehend. Hopefully these centenary years will ignite an interest in the whys and hows of the First World War. 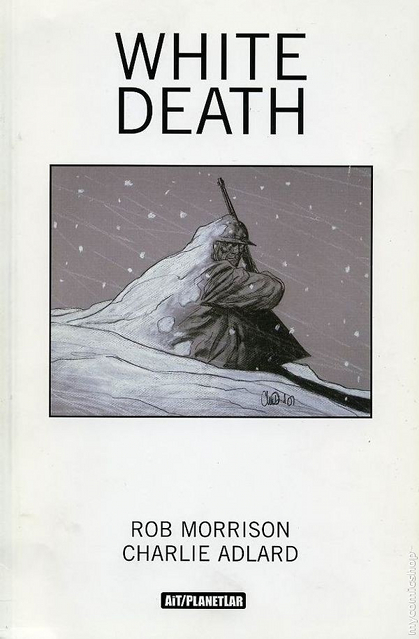 Perhaps some of those stimulated to explore further will read comics or, better still, make comics. Maybe a few years from now, the shelves in your comic shop won’t seem so bereft of this fascinating and horrifying subject.